The pressures to find the perfect gift and to search the city high and low for that one special gift, affects peoples driving during the Christmas holiday. Drivers’ minds are thinking about their next destination and not merging or looking over their shoulders on highways. Because these holiday stresses have a significant impact on drivers’ attentiveness on the roadways, now is the time for all drivers to exercise additional caution when it comes to driving during the holiday season. About one third of drivers admit they become more aggressive while driving during this time of year, and it’s no secret that many drivers are distracted by the tasks of holiday shopping. According to AAA, an estimated 95 million Americans will be on the road during the Christmas and New Year’s season, which creates a number of challenges for anyone on the road. Studies have routinely shown that people tend to let the stress of the holidays have an effect on their driving and, as a result, people in general tend to drive more aggressively. More traffic and stressed out drivers result in more auto accidents, pedestrian accidents and bicycle accidents as well. “The New Year’s holiday generally results in a significant increase in the number of fatalities when looking at a comparable period in the same month,” says Ken Kolosh of the National Safety Council (NSC). Kolosh added, however, that there doesn’t appear to be a similar increase in the number of accidents when it comes to Christmas Eve and Christmas Day. One common sign of aggression for drivers is unnecessary speeding, which puts both the offending driver and other motorists at risk of being involved in a crash. If you notice an aggressive driver on the road, call 911 or try your best to avoid these vehicles at all costs. Believe it or not, Christmas day is a safe day to be on the road because the roads are typically clearer at this time. Stores are closed and most people are with their families celebrating the holiday, which could be a major contributing factor to the statistical pattern pointed out by the NSC’s Ken Kolosh. This year, the circumstances of the holiday are a little different because Christmas Day falls on a Wednesday. 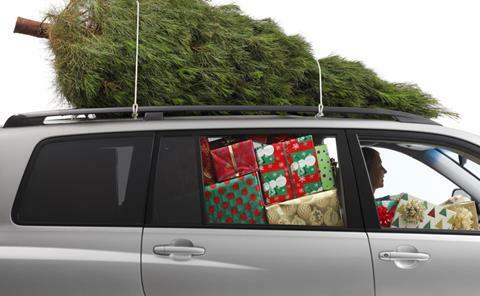 Auto accidents and deaths vary each holiday depending on how many people are traveling during that time. Travel periods and shopping levels are different from year to year but around the Christmas holiday you can always expect high traffic volumes, so do yourself a favor and drive carefully this holiday season - or if possible, try to stay off the roads altogether.